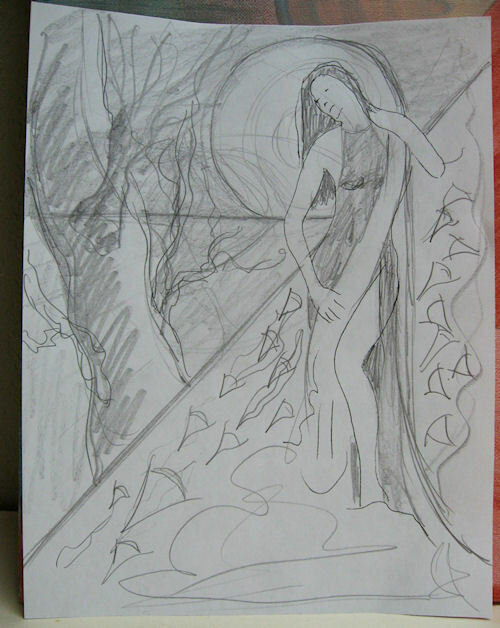 This is the initial pencil sketch for a painting called, "Gold Moon." The painting is just started so wanted to show the sketches and process as it moves along. 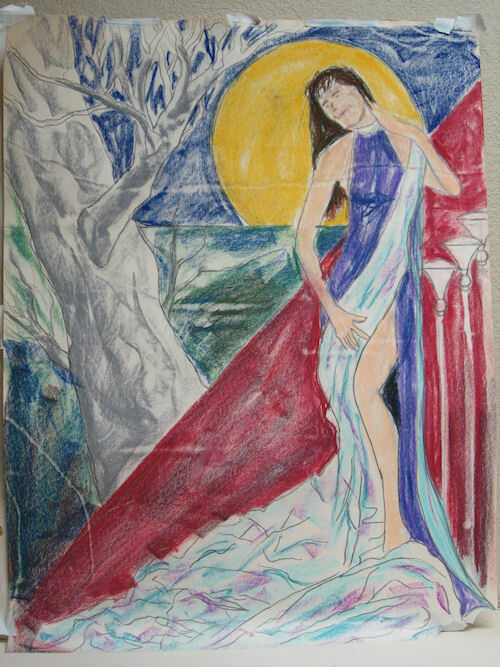 I had done several photos and sketches of this model in the studio and found this pose very peaceful and with a sort of dancers surpentine flow. From that I just sat and scribbled with the figure in place until this sketch emerged. As I worked I got the idea of the gold moon behind her dark hair and then, thinking of Klimt, I decided to possibly do the moon in gold leaf. I'll just have to see how the painting looks when it gets to that stage. I was undecided about color so did a rough color pastel of the sketch to give me initial direction. That appears below. I will post more on this as I move along with the painitng.